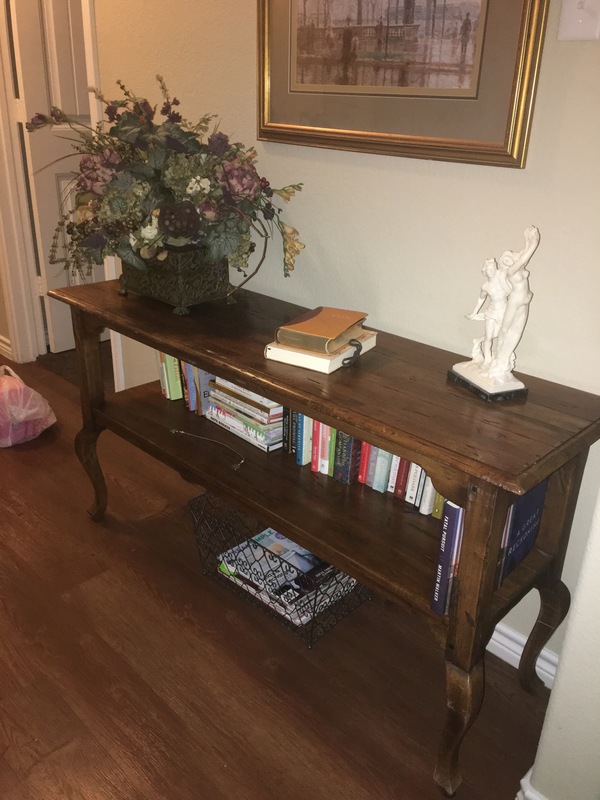 Above is a photo of the Ethan Allen hall table I purchased at a resale shop for $85. Little did I know stopping at the new resale shop around the corner would turn out not to be a random choice I made. I clicked with the owner right away. We chatted for over 45 minutes. After I made sure the table would fit, I called back and said I wanted the table. Yesterday I stopped again to look at a small side table. Unfortunately it has sold but we began to chat again. And before I knew it this woman and her husband were praying over me. No one has ever prayed over me in my 57 years. Standing in a circle of three, hearing ‘Lord lift her up, remind her Lord you have better days planned for her’ and many more words of love, I left the store choking back tears. As much as I love my new ‘used’ table, I believe there was divine intervention and the table was just used to get me inside to meet these wonderful people.